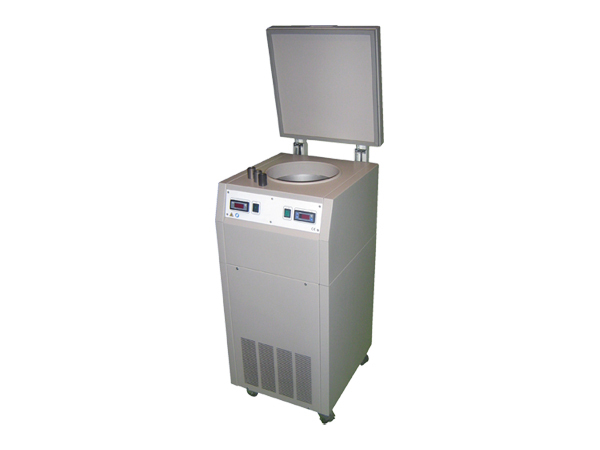 RapidFreezer80 is a small, free standing, top opening, ultra low temperature freezer. Its function is to rapidly freeze tissue specimens ready for cryotomy or for storage. Inside the RapidFreezer80 are two cylindrical chambers, the upper chamber is held at -40°C and the lower at -80°C. The lower chamber can be filled with 3M's Novec Engineered Fluid, into which specimens can be immersed. Alternatively, an aluminum block can be incorporated into which a specimen holder or chuck can be fitted. The upper chamber is used as a short term storage area for specimens after they have been initially frozen in the lower chamber. A seven day timer is fitted to the RapidFreezer80. This means that during the hours when the RapidFreezer is not being used it can be run in a 'standby' mode with both the upper and lower chambers running at -40°C, thus saving power. At the start of the working day it can be switched to its normal operating mode and the lower chamber can be brought down to -80°C.